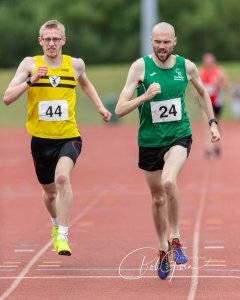 There was no let-up for the North Belfast Harriers this week. The Club was well-represented across a range of venues clocking up many successes resulting in podium positions. 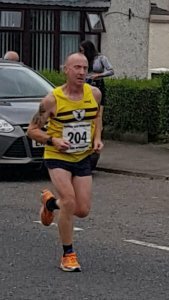 North Belfast Harriers were represented in the Ards Peninsula town in both the 10 mile and 2 x 5 mile relay. 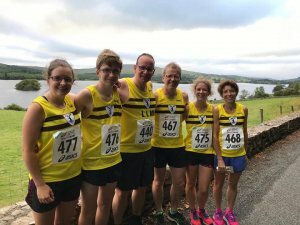 Over 200 athletes descended on the coastal village of Glenarm in County Antrim for the annual Dalriada Festival 10k and 5k, a popular and well-organised event hosted this year by newly-established Glenlough Running Club. The event, which is part of a week long festival in the village, covers a multi-terrain course within the Glenarm Castle Grounds and surrounding streets and roads. 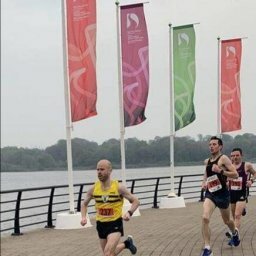 In the 10k race, Kent Swann bettered his runners up spot from 2017, when he led the field home in 36:12 (1st place), while Northern Ireland international, Martsje Hell, claimed 3rd place overall and was first lady home with a time of 39:54. Meanwhile in the 5k race, Joe Malone claimed his second podium finish of the week with a 17:11 for 2nd place. The McCambridge family plus Liam Smyth represented the Club in Churchill this evening. There was a high degree of success with 4 of the 6 walking away with prizes. Brendan was the first to cross the finish line in 8th place overall and taking the junior prize in a time of 17:49. 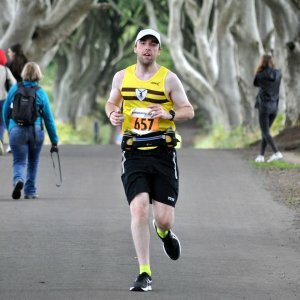 Paddy was next in a time of 20:33. Ita was the 3rd club finisher taking the O50 prize in a time of 22:04 with Orla hot on her heels in a new PB of 22:09 taking first place in the female open category. Catriona took second place in the female open category in a time of 22:39. 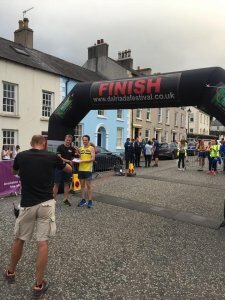 The final club finisher was Liam Smyth who continued his comeback from a stress fracture in a time of 26:22 over what was a demanding course. Nothing beats holiday racing! 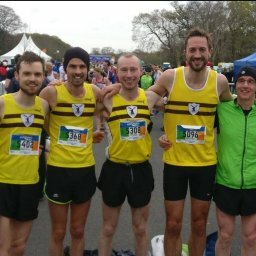 Six Harriers made the journey to Game of Thrones territory to take part in the Dark Hedges Half Marathon, or to give it it’s full title, the Kennedy Kane McArthur Festival of Running Dark Hedges Half Marathon. The route started and ended at the village of Dervock with the highlight being running through the world-famous hedges. Meanwhile Nat Glenn braved the hilly course to finish second overall in the 5 mile race. Bangor Sportsplex was the venue for Round 1 of the Team Trophy League. The Club was represented by Andrew Milligan and James Trainor. Only 46 North Belfast Harriers ran across 10 parkruns this week, with four runners achieving PBs. Congratulations to Kent SWANN who came first in Falls parkrun, and to Odhran MOAN & Max REID who clocked up Parkrun milestones. This was Kent’s second win of the week. 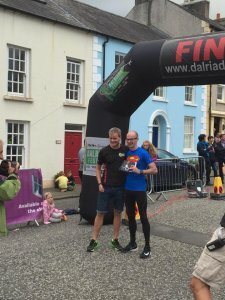 17 Odhran MOAN 00:25:11 10 Parkruns! 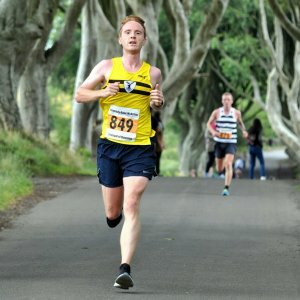 34 Max REID 00:23:06 50 Parkruns! 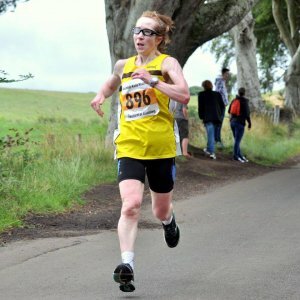 133 Joanne CURRAN 00:29:26 New PB! 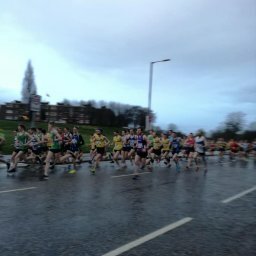 181 Grainne STEPHENS 00:32:50 New PB! 22 Paul WILLIAMS 00:21:10 New PB! 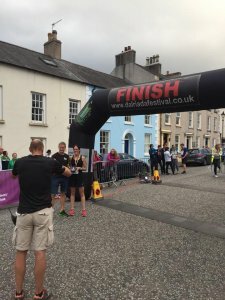 14 Katrina McAULEY 00:23:26 New PB! All photos taken from Facebook.